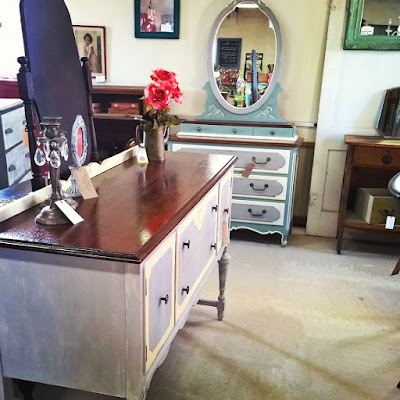 For Love of the Paint: SHOP NEWS!! For Love of the Paint is now sharing some space with the super talented and wonderful artists from Barn Dance Vintage and LoveFifty50 in their Red Door Lane shop! They have beautiful vintage finds, and tons of knowledge and creativity! Come by Friday - Sunday to check out all of the gorgeous pieces at Red Door Lane in the Leander Flea Market, 1291 E. Woodview Dr., Leander TX 78641. And check them out on Facebook for painting and distressing workshops!! Eek! That is awesome!! Congrats! Thanks, Christine! We're pretty excited too :) Hope you get a chance to come check it out! Might find something perfect for your new house!